The Photographs of the brutal beating of the deputy Ziadin Sela in the Macedonian Parliament on the night of April 27 were published in the testimony session on Macedonia and Crisis in the Balkans, where his speech was delivered by US Secretary of State Brian Hoyt Yee, former Congressman Joe DioGuardi From LSAA and the analyst Daniel Server. 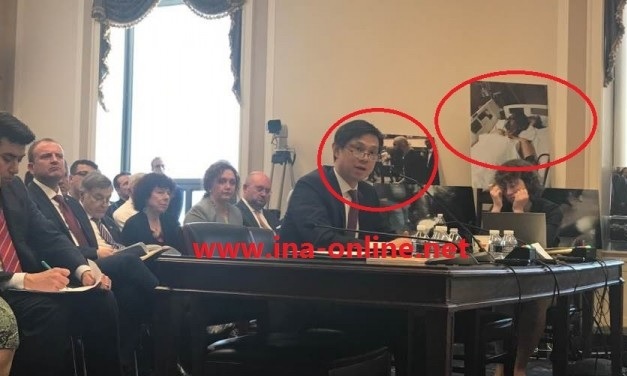 According to INA, photos of Sela's brutal beating were also revealed by activists of Albanian associations, while spoke about these photos condemning the violence against the Albanian MP. In addition spoke also the LR-DPA General Secretary Arben Taravari, who was part of this traditional session organized by the Congress. Full discussion on the video below.